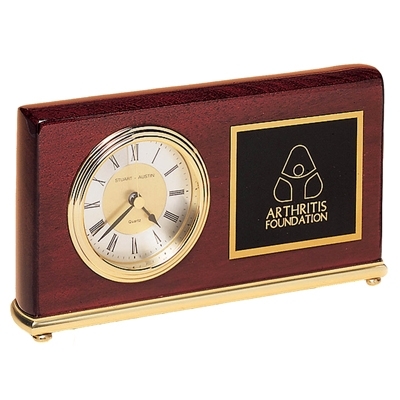 This elegant piano-finish rosewood desk clock features brass details, a diamond-spun dial and three hand movement. Your custom text and logo can be engraved on a black brass plate. Batteries and gift box are included.